2018 is the year I have started taking skincare extremely serious. Before I would do the bare minimum but use good products and expect amazing results but I hopefully have my face skincare routine locked down but what about the rest of my body? What about my dry elbows and knees? or my really dry lips? 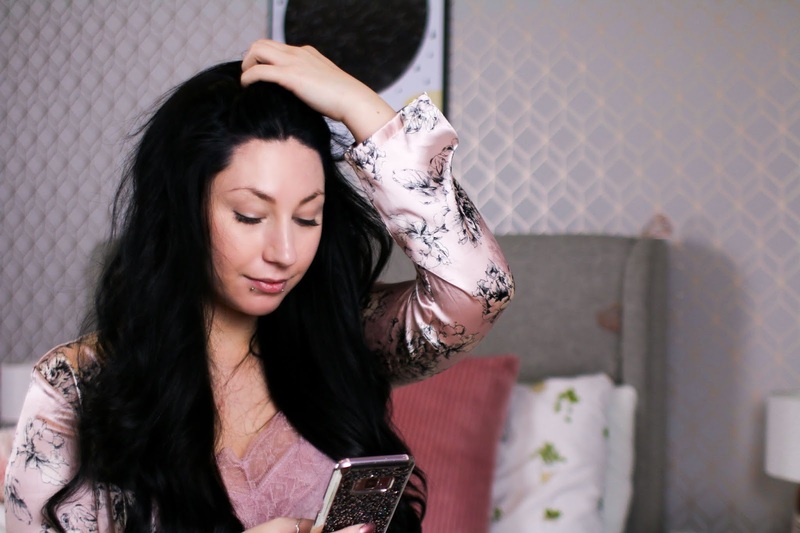 It's something that I never really thought about if I am totally honest, I used to be good at looking after my skin but that fell away when I became a mother and everything had to be done super quick! Now my little bear is a little older and has a bedtime routine it allows me to get more pamper time in which I am very grateful for. Now that I have this extra time I'm starting to pay attention to keeping myself looking and feeling good. 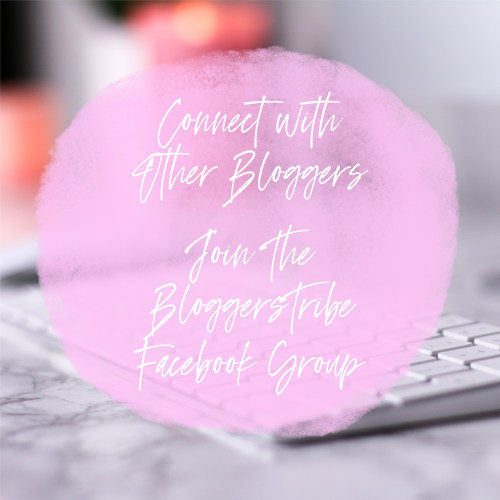 Avernaco got in touch which was a blessing as they stock some pretty fabulous products on their site and I have been using a few as of late which I'm going to tell you about today. I have a pretty good range for all sorts from nourishing lip butter to soothing skin relief, all of which I am so thankful for. 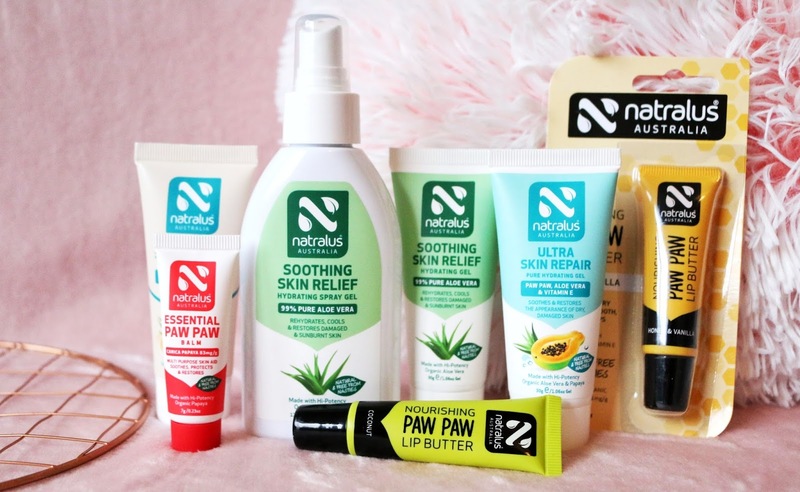 All of the products I was kindly sent are by Natralus Australia. First up is the Pure Aloe Vera soothing skin relief hydrating spray. I have only used this a couple of times because I am saving this for when the sun finally comes and I have been out trying to catch a tan. Aloe Vera is one of my most favourite things to use when I have been in the sun, it helps to sooth skin, especially sun-burnt and damaged skin. With the spray top I think this will be a great everyday product to have around as it's very easy to apply, you just spray it on and go. I really like that this doesn't have a scent to it so there's no clashing with any perfume etc... and it drys very quickly with no sticky feeling. It's sort of like spraying water onto your skin except it drys quickly. My skin has been left feeling very cool after use and that's a big bonus to me, it means if I ever have sunburn that it will most likely cool my skin down making it feel fantastic. I am quite excited to get using this in the good weather and reporting back with how well it does. Along with the Aloe Vera spray I also received the hydrating gel which works pretty much like the spray except it's a gel obviously haha. Like the spray it's fragrance free and doesn't leave a sticky feeling thankfully. 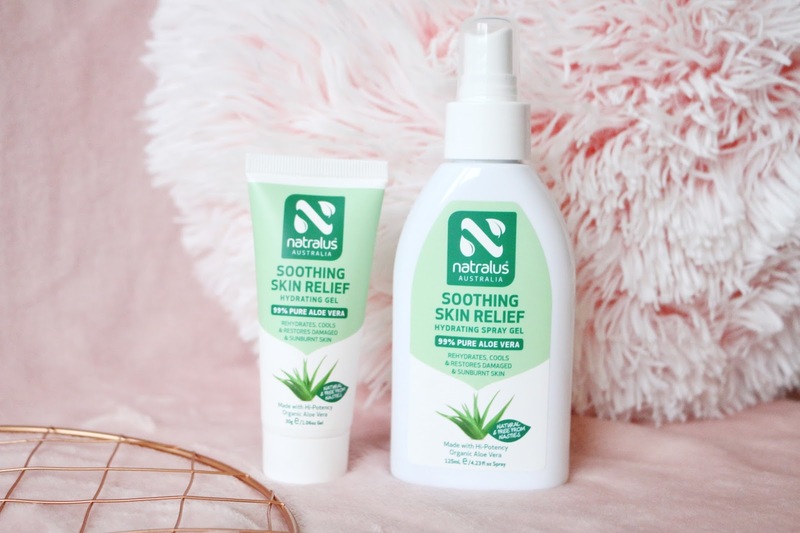 Both of these products are 99% pure Aloe Vera, suitable for all skin types, Fragrance free, Colour free, Alcohol free and paraben free, Australian made and owned, naturally effective and cruelty free. Next up is their ultra skin repair pure hydrating gel and intensive skin therapy pure moisturising lotion. I have been using the hydrating gel on both my elbows and knees as I felt they were getting a little too dry and it was sore at times then I have been using the intensive skin therapy lotion on my hands to keep them nice and smooth but you can use this cream on both your face and body if you wish. 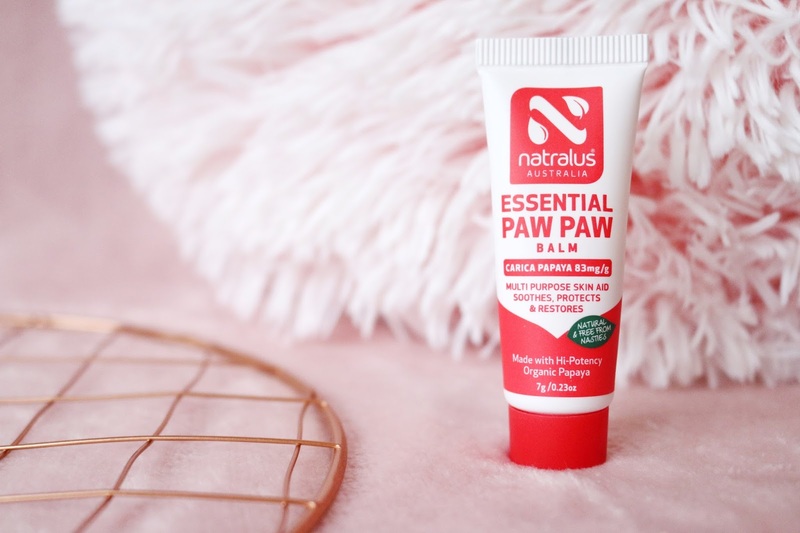 The moisturising lotion has Paw Paw, Aloe Vera and vitamin E in it as does the gel so both are similar ingredients. The lotion is light and quickly absorbed which I definitely notice every time I use it, my hands don't have that wet feeling for long and I can get back to using my hands fairly quickly meaning it's a great lotion to use for sure. 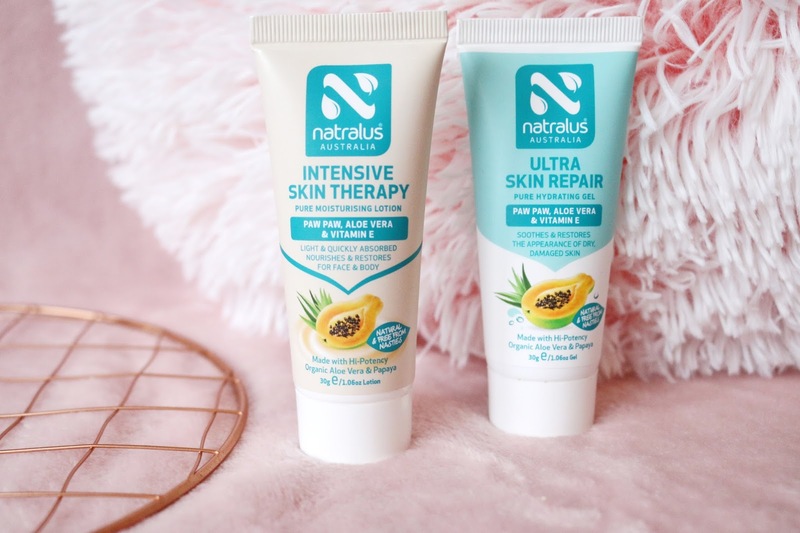 I feel the ultra skin repair gel is also quickly absorbed but like the Aloe Vera I feel like it's very cooling to the skin and I have noticed a difference in my elbows and knees. My elbows aren't as dry as they were when I started using the gel and there's no longer any cracked skin which I am very surprised at, I wasn't expecting such good results if I'm honest, I thought it would just moisturise some of my skin but I would still have some cracks here and there, they were the worst part because they were quite sore but the gel doesn't sting the skin at all and helps it feel good. For me these are my favourite two products from the whole lot, although I like everything I have used, these two have really helped my skin. Next is the lip butters I received. There was three in the parcel but I have only been using the coconut one at the moment as I read them all and they all do exactly the same except they have different "flavours" so I want to keep them good until I run out of one then I will move onto the next. 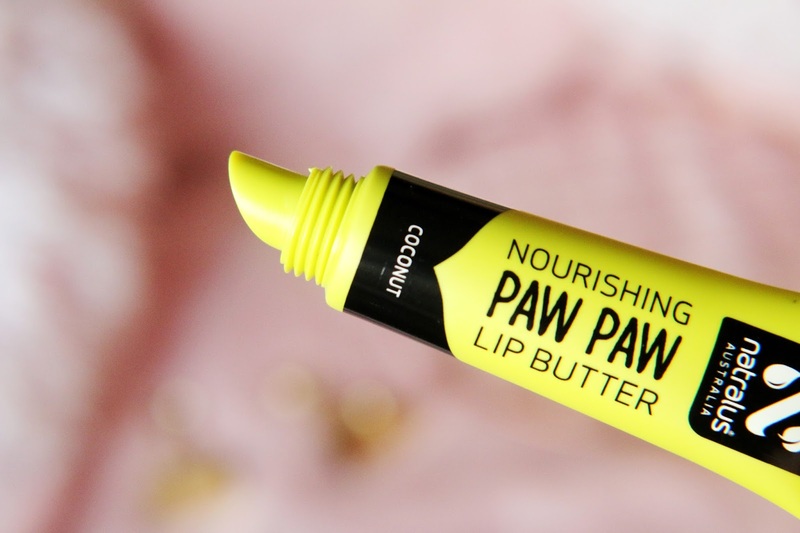 The one I am using at the moment is the coconut lip butter and I have to say, I'm impressed. My lips were in a right state for a while with them always getting dry, it was horrible, I felt really down about it so I'm glad these came just in time as I have been using it non stop (along with a home made lip scrub) but I keep the coconut lip butter with me at all times so I can always keep my lips nourished. I really like that it doesn't feel sticky when I put it on, it sinks into my lips nicely and tastes rather good as well haha. 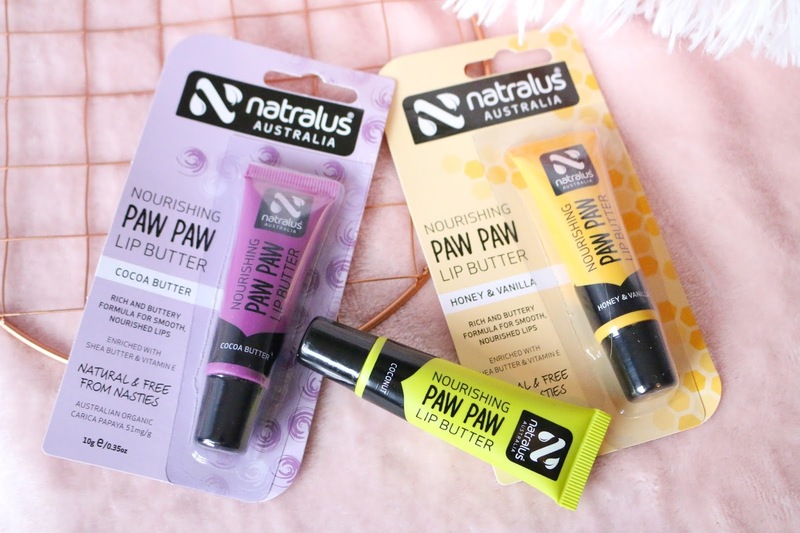 Their lip butters are a combination of PAW PAW, Shea Butter and vitamin E to keep those lips in tip top condition. Now this one I haven't been personally using but my gran has so all the thought and opinions on this are coming from her. My gran has dry skin on her hands and it's a big problem for her so I let her use this to see if would help soften it up.
" I have used up all of this little cream now and I have to say that I really enjoyed using it. It did help soften my skin, not take away the dry skin but I think if there was more it may help. I liked the consistency, it reminded me of cocoa butter, thick but absorbed really quickly. There's no scent to it which I like as I don't like scented creams so this was perfect for my needs. I could see me buying this as I liked it so much" - Words from my gran. 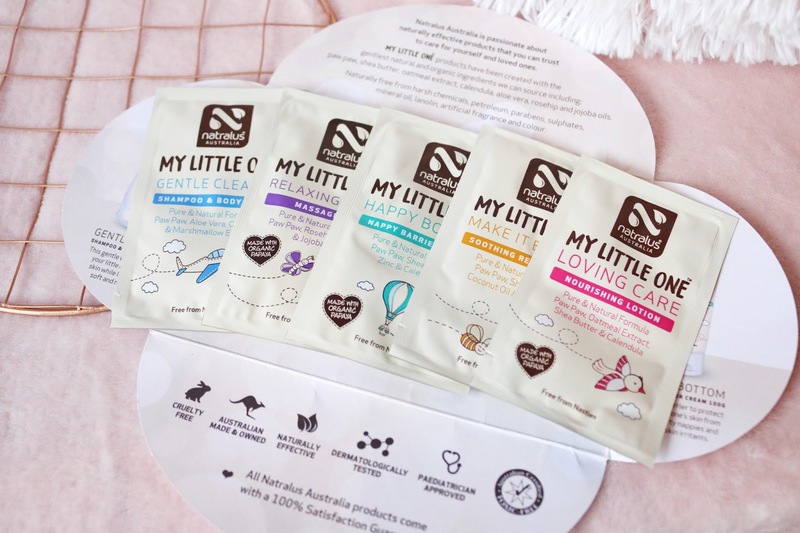 Next up is the little samples I received which are for babies, now my little one isn't a baby any more (internally cries) but I did try some of these out on him, Leon letting me was the biggest achievement here. I used the Massage oil first one night before getting his PJ's on and the scent was heavenly, it soaked into his skin really well and he enjoyed me doing it which helped him relax before bed. The massage oil has a skin softening formula which helps to relax and soothe your little one, it's also great for dry scalps and for mums to use on stretch marks. I also used the nourishing lotion on him after a bath one night and I loved how well it absorbed into his skin, the scent was really nice which I liked because some creams don't smell so nice. So far that's the only two I have used on him but I'm hoping to use the rest with him. All in all I am super pleased with all the products I have received from Avernaco, they have been great to use and I really love that I have seen such a difference in my elbows and knees. 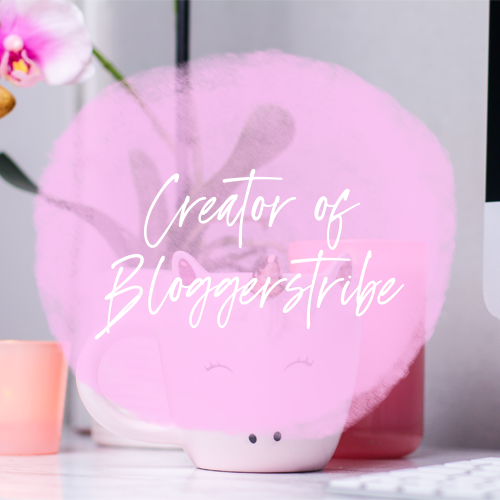 I really like that on the site there are different categories so you can find what you are looking for like baby & toddler, Beauty & Skincare, Toiletries and more. There's a great range on their site of different products and brands, I have noticed that they stock SPLAT which is a toothpaste company I really love. They have quite a lot, something to suit everyone I'm sure, it's definitely worth having a look.